This Tuesday (January 26), we are hosting a film screening of “A Better Life” with the director, Chris Johnson. 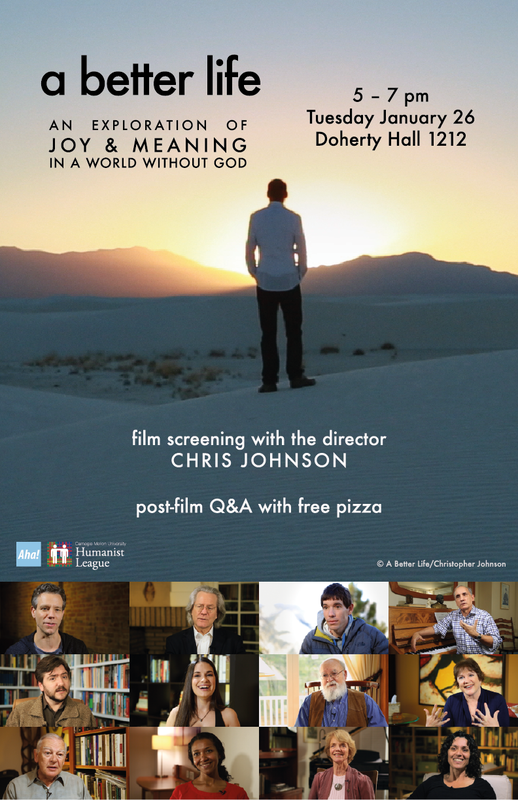 The documentary film tackles the question of how non-religious people find meaning and purpose in a world without God. Please join us from 5:00 to 7:00 pm in DH 1212 for pizza, film, and Q&A! Previous: This Week: Humanism in Pop Culture Next: Do Atheists Live "A Better Life"?